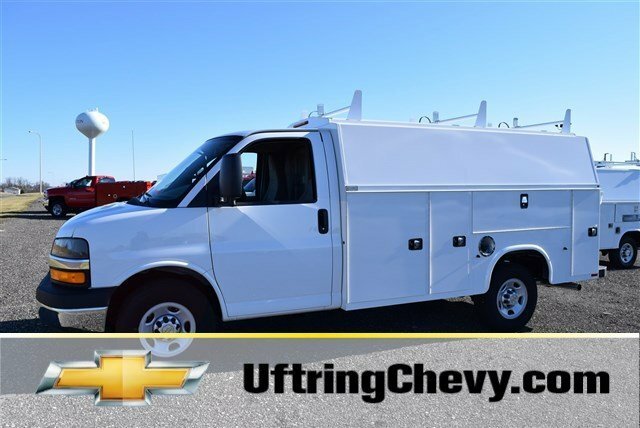 When it comes to moving payloads, few vehicles are as up to the task like the 2016 Chevrolet Express Cargo Vans, Passenger Vans, and Cutaways are. 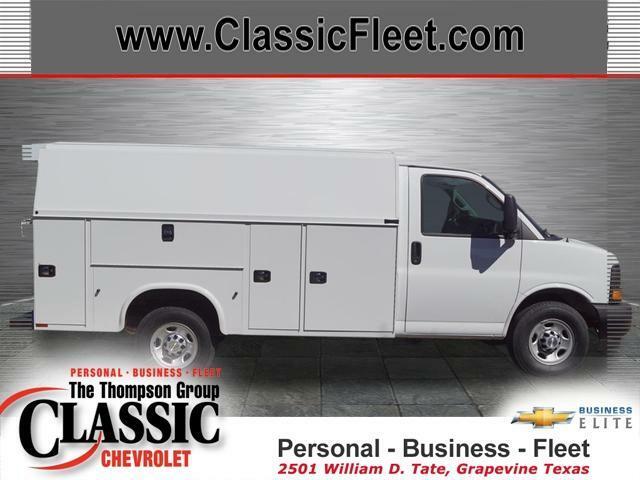 Chevrolet modernized its big van with rounded corners, high-mounted taillights and stylish truck-like wheels. 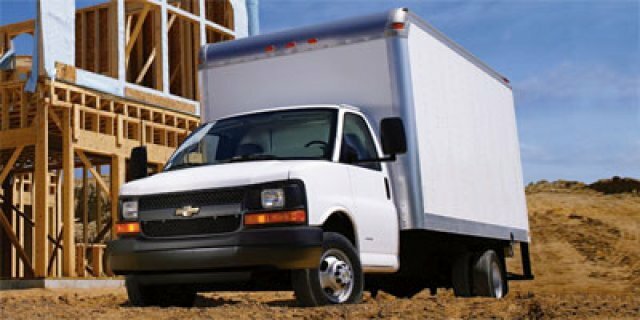 Chevrolet designed the Express Van with the sole purpose of moving big loads, be they passengers or cargo. 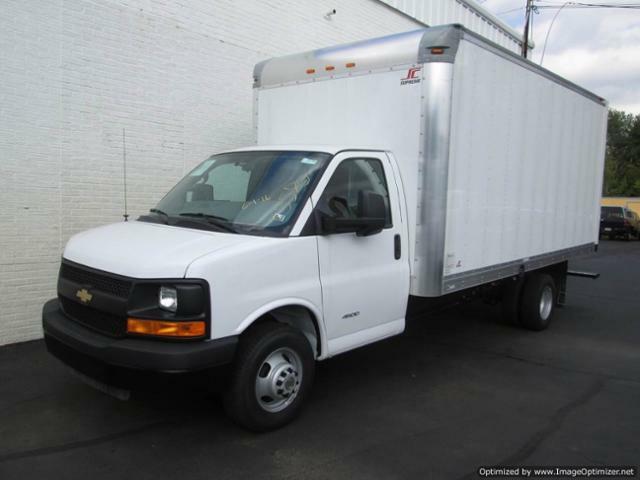 Dressed for passenger service, the Express Van crushes the largest of SUVs, providing seating for up to 15 people. 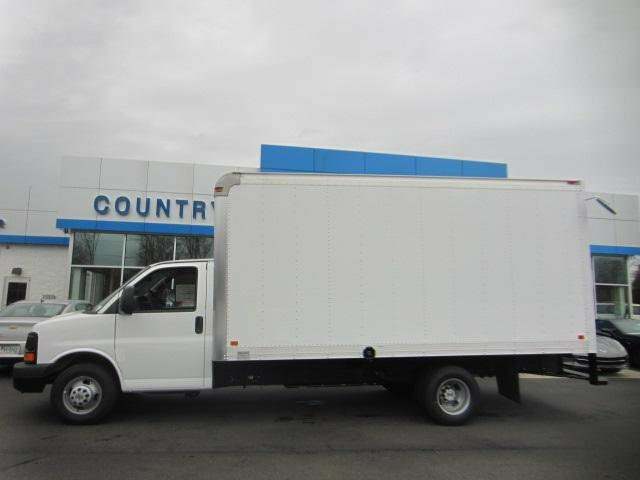 In the Express Cargo Van, the Regular Wheelbase 2500 and 3500 models have 270.4 cubic feet of cargo space. 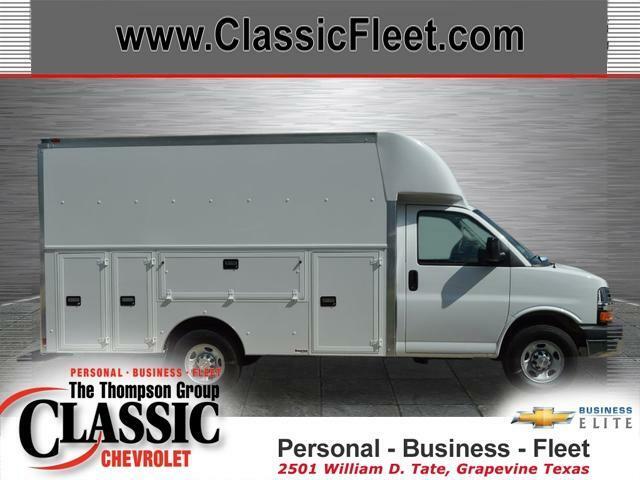 However, if that is not enough, get the Extended Wheelbase 2500 or 3500 models, which have an incredible 313.9 cubic feet of room. It also can be outfitted as a rolling workstation. 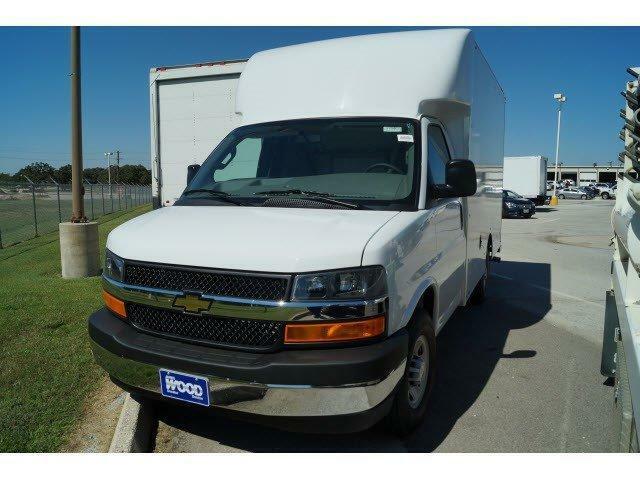 Knowing that no matter what the mission, the Express Van will need to be prepared, Chevrolet gave its van a beefed-up suspension, available extended-length cabs, and the choice of 2 gasoline engines (a 4.8L V8 or a 6.0 V8) or a 6.6L Turbo Diesel V8. 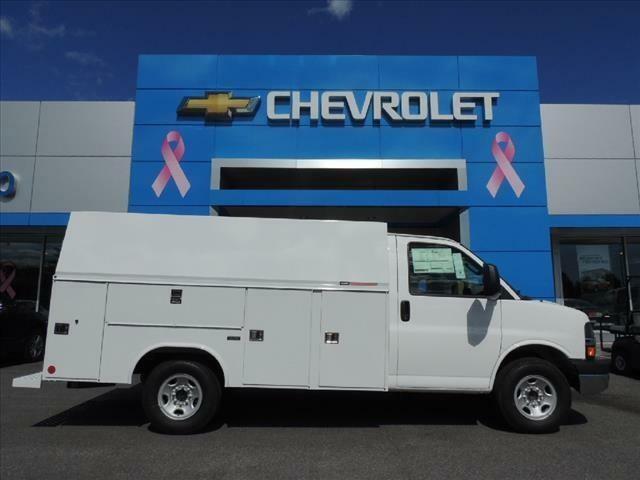 All Express Cargo and Passenger Vans are equipped with stability control, 4-wheel anti-lock disc brakes and dual front airbags. 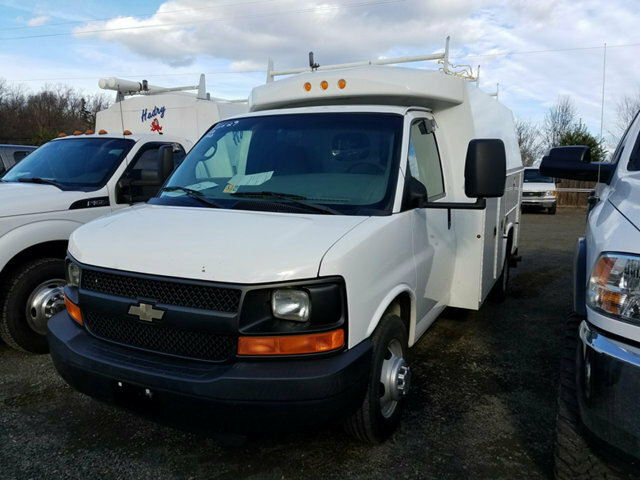 The Express Vans also offer available 4G LTE Wi-Fi from Onstar to allow up to 7 devices to connect at once. 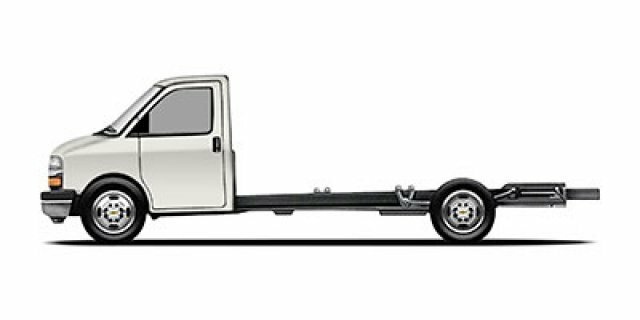 In the Express Cutaway 3500 and 4500 models, you will be getting a solid foundation for the finished vehicle your upfitter will complete for you. 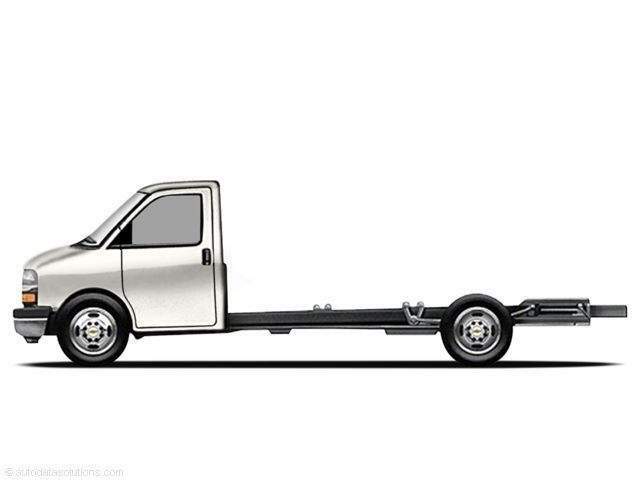 The Express Cutaway can be upfitted to become various vehicles like a school bus, shuttle bus, ambulance, service vehicle and more. It also gives you the choice between gas and diesel engines, and has anti-lock brakes and dual front airbags. 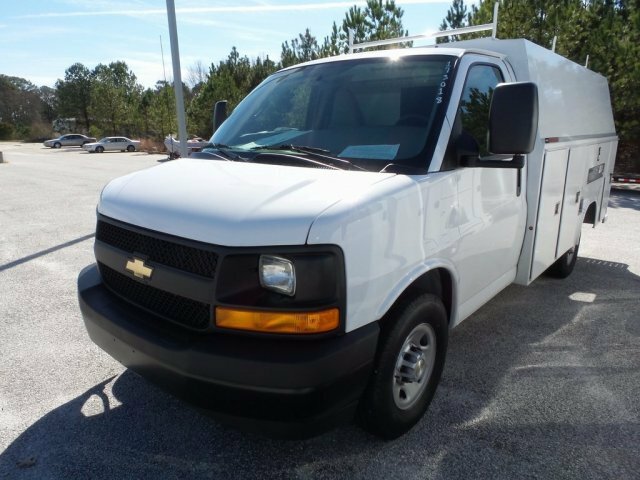 Come check out the Express Van or Cutaway that meets your needs today! 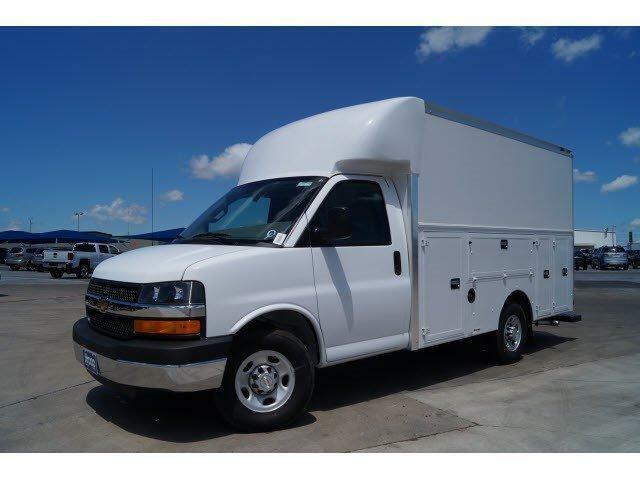 Stock Number: 66145, 16' DURACUBE, Van, EXPRESS 3500 DRW * 16' DURACUBE * 6.0 V8 * AUTOMATIC - HABLAMOS ESPANOL.... PREGUNTE POR JOHANA RIOS (540) 347-9929...... FINANCIAMIENTO DISPONIBLE... ACEPTAMOS TODO TIPO DE CAMBIO DE CARROS Our inventory includes vehicles with many options, from (3rd Row Seats CD Player Cruise Control DVD Player Portable Audio Connection Premium Audio Security System Backup Camera Keyless Entry Heated Seats Bluetooth Hands-Free Leather Seats Lift Kit Navigation Power Mirrors Rear Window Multi-zone Climate Control Premium Wheels Power Locks Power Windows Defroster Side Curtain Airbags Sunroof Tilt/Telescope Steering Wheel Steering Trailer Hitch Disability Equipped Wheel Controls Traction Control Heated Seats 2 wheel drive 4WD/AWD - , Contact Will Campos at 888-989-8334 or sales@29auto.net for more information. 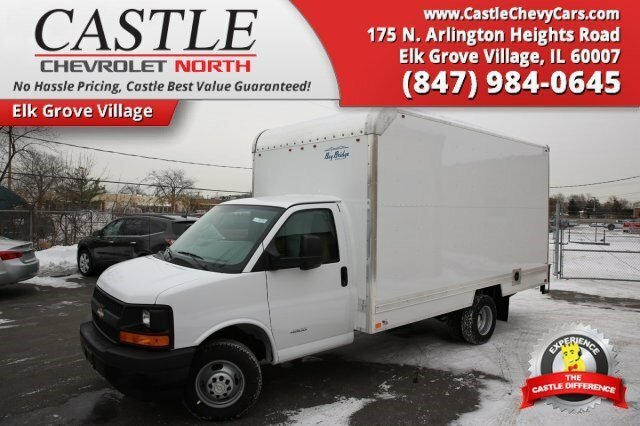 Stock Number: T2629, KUV, , EXPRESS 3500 DRW * KNAPHEIDE KUV * 6.0 V8 * LOW MILES * 1 OWNER - HABLAMOS ESPANOL.... PREGUNTE POR JOHANA RIOS (540) 347-9929...... FINANCIAMIENTO DISPONIBLE... ACEPTAMOS TODO TIPO DE CAMBIO DE CARROS Our inventory includes vehicles with many options, from (3rd Row Seats CD Player Cruise Control DVD Player Portable Audio Connection Premium Audio Security System Backup Camera Keyless Entry Heated Seats Bluetooth Hands-Free Leather Seats Lift Kit Navigation Power Mirrors Rear Window Multi-zone Climate Control Premium Wheels Power Locks Power Windows Defroster Side Curtain Airbags Sunroof Tilt/Telescope Steering Wheel Steering Trailer Hitch Disability Equipped Wheel Controls Traction Control Heated Seats 2 wheel drive 4WD/AWD - , Contact Will Campos at 888-989-8334 or for more information.